V.A.Whitley & Co has drawn on over 75 years’ experience to put together a guide to help you make a consistently great batter. - Always store your batter flour or mix in a cool dry place. - Add the flour to the requisite amount of water (not the other way around!) and mix to a thin cream-like consistency. - Do not leave your batter on the range or near heat except when in use. 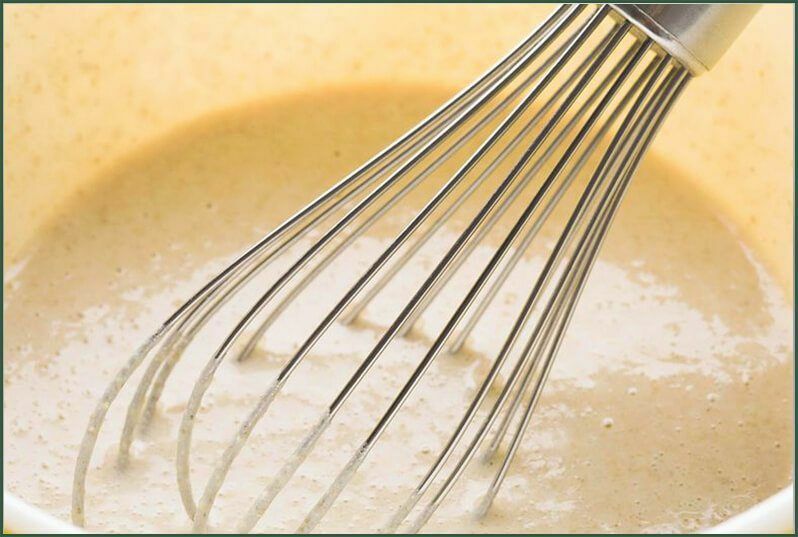 - Always mix a fresh batch of batter before each opening. - When mixing, always make sure that the water is really cold in hot weather, and tepid in very cold weather. - Ensure that your fish portions are drained of excess water content prior to battering. - Remove any air bubbles that have been created during mixing, by stroking and standing, being especially careful if using frozen fish. - Always fry at the correct temperature. A good guide is between 185 - 196°C. - Place the cooked fish vertically on its end in the fish warmer. This way rising steam will only attack the batter seal at the end where it is strongest.